With the supporters of the north London club have growing increasingly weary of talk of vast warchests, financial rude health and the power to be a major player in the transfer market, Arsenal's €26m bid for the Belgian, which activates the buy-out clause in his contract applicable to top-four clubs, sends out the message that the north Londoners' ambition stretches beyond securing a Champions League place every season and of course making the fans happy. It is remain to be seen if the move will see the light of the day as the deal for the Belgian is not sewn up yet, even though under the terms of the contract Fellaini signed in November 2011 Everton are obliged to accept the offer on the table from Arsenal, the player and his advisers must still give the move the green light and agree a package with the Gunners. There is a belief in some quarters that that Arsenal's bid could force a counter move from one of Fellaini's other suitors. Chelsea's interest in the midfielder is believed to have dwindled but new Manchester United manager David Moyes could yet sanction a bid for Everton's prize asset that trumps Arsenal's offer. Nevertheless, there is a growing confidence in the upper echelons of the Emirates Stadium that Arsenal are closing in on what would comfortably be a club-record signing. 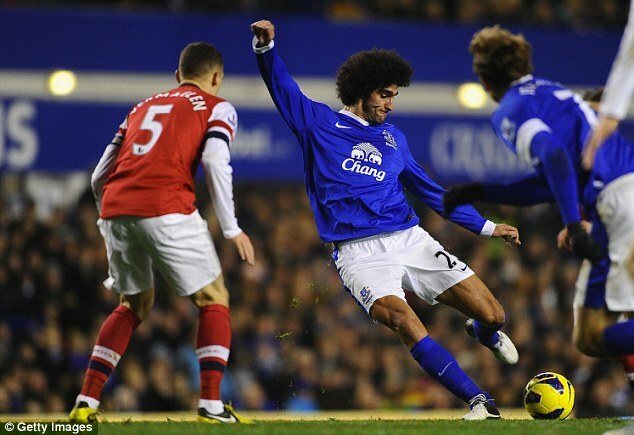 Wenger has long been an admirer of Fellaini's almost unique combination of physical presence, versatility and technique. Meanwhile, Wayne Rooney remains Arsenal's dream signing this summer after chief executive Ivan Gazidis gave the green light to mammoth summer spree. 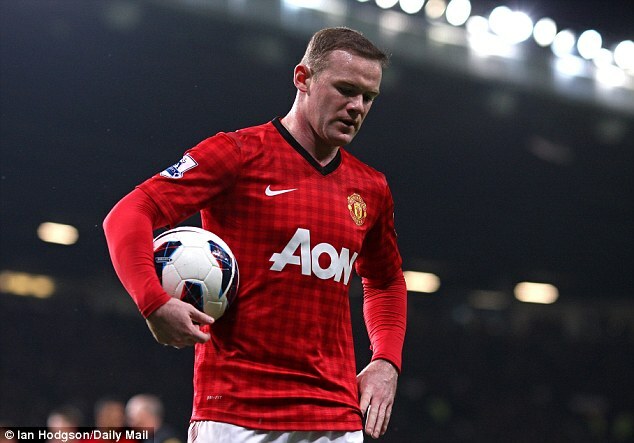 The news broke sometimes last month on how the Gunners were prepared to smash through all their financial boundaries to land Rooney this summer. Manager Arsene Wenger hope a package of around £170,000-per-week and a multi-million pound signing on fee, plus the security of a five year contract, could persuade the England international to take a pay cut from his current £250,000-per-week deal at Old Trafford, that has two years left to run. The club have also explored moves for Fiorentina striker Stevan Jovetic and Real Madrid forward Gonzalo Higuain, who remain high on Arsene Wenger's wanted list, while Swansea striker Michu is also a fall-back option. The club have held talks with Queens Park Rangers goalkeeper Julio Cesar's representatives, but Wenger wants to keep his options open with Asmir Begovic, Simon Mignolet and Rene Adler all possibilities. A move for Swansea centre-half Ashley Williams is at an advanced stage, with the Wales international known to be keen on a move to the Emirates Stadium. Wenger is also on the look out for a central-midfield lynchpin in a similar mould to Cameroonian Alex Song, who left for Barcelona last summer.